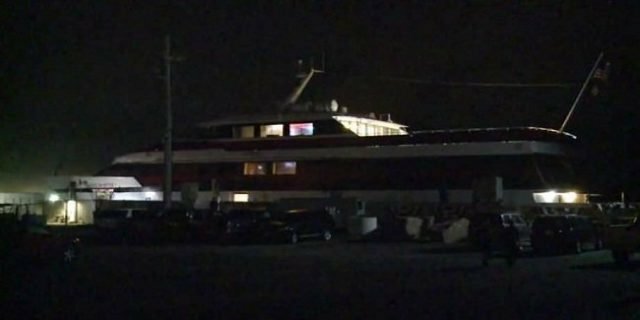 The newly opened Jacks or Better Casino yacht crashed within two weeks of its grand opening. The casino opened in Galveston Bay, which crashed in to a buoy at the jetty near North Holiday Drive. People use to say that “house always wins” but it now means the house didn’t win this time. There were plenty of customers on board but no one is injured. After this crash happened the casino wrote on their face book wall that “we are working very hard and hand to hand with coast guards to get this issue resolved as quickly as possible”. The note says that “investigation is currently going on’, but the safety of our customers are staff is number one priority for us. According to their note, the damage was relatively low and it was very minimal, however the crash attracted lots of attention of the people. The company made a statement later on this issue saying that this was not the first time a ship has smashed in to a particular area. The area was obscured by light illuminating a disabled ship, a blind spot and another buoy. The dice of the gambling spot was opened back on April 7. Although it is not legal to have full gambling in Texas, but each Jacks or Better trip goes to 9 miles to federal waters where gambling is legal. Floating casinos are legal in federal waters and that is why the newly opened casino deck was going there to implement gambling.